If you are struggling to find that last minute gift for your clients, customers, family or friends, then Back 2 Basics Traditions can help. They’ve got five gift basket options starting at just $39, or they can work with you to create a hamper to your personal taste. Or perhaps a gift voucher for a Back 2 Basics cooking class or tour might be just the thing for that foodie friend in your life this Christmas. Family owned small business, Dudley Wines of Kangaroo Island has won best Cellar Door Tourism Experience in South Australia for 2017. This award category recognises wineries, distilleries and boutique breweries that offer a cellar door experience and create a significant contribution to tourism. Congratulations to all at Dudley Wines! The initial program is out for Cellar Door Fest 2018 and the DIY program reads like a who’s who of Eat Local SA participants. There’s cheese making with the award-winning Kris Lloyd of Woodside Cheese Wrights (and congratulations to Kris once again on being named as the South Australian Food Industry Leader for 2017 by the way). You can dive into gin with a blending workshop presented by Jon and Sarah Lark of Kangaroo Island Spirits, or check out your pasta production skills and tiramisu technique with Mark Bergineti of Back 2 Basics Traditions. Plus, there’s a jam-packed demo stage with live demonstrations from loads of local producers. Cellar Door Fest 2018 runs from March 2-4. Class bookings are open now. We can’t wrap up the year without congratulating all the winners in this year’s South Australian Food Industry Awards, especially the Statewide Super Consumer Award Top 20 for 2017 and the overall winners, Robern Menz. Next time you are out shopping, look for these great brands and businesses who help you eat local every day: Australian Wholefoods, B.-d. Farm Paris Creek, Beerenberg Farm, Bickford’s, Careme Pastry, Enzo’s at Home, Fleurieu Milk Company, Fruit Wise, Gelista, Haigh’s Chocolates, La Casa Del Formaggio, La Vera Cheese, Matchett Productions/Big Sissy Foods, MOO Premium Foods, Najobe Park, Nippy’s, Piped Dreams Cookie Boutique, Spring Gully Foods, and Tucker’s Natural. And congratulations to you too – this year over 9,000 consumers voted for these businesses, your favourite local brands. You can find all the winners for 2017 here, and check out the Gala Dinner in photos with host Matt Preston here. Out on the prowl for a relaxed platter with family and friends this summer? Well don’t go anywhere without checking your Eat Local SA app or visiting the website to see who’s who near you. 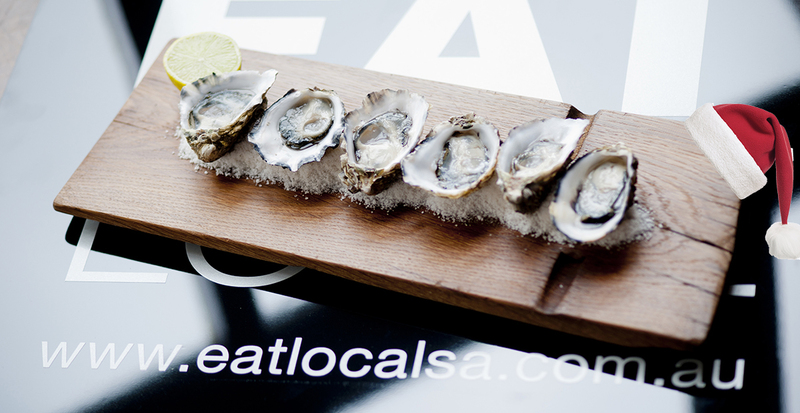 And don’t forget, if you are entertaining and want to build a South Aussie platter of your own, use the Eat Local SA app to locate a participating gourmet retailer near you by simply clicking on the RETAIL category. This is the best way to find those specialist retailers with a wealth of knowledge about their local boutique producers. Happy hunting!